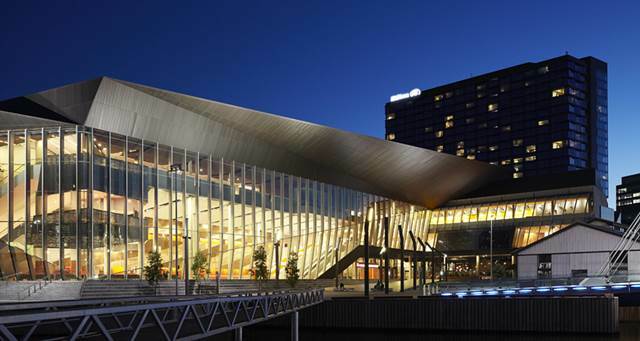 A partnership between Melbourne Convention and Exhibition Centre (MCEC) and creative powerhouse C2 International was announced at the IMEX trade show in Frankfurt. A world first, this union signals a dramatic shift ahead for the future of business events. This alliance will be mutually beneficial as it grants MCEC exclusive access to C2’s experiential design platform and signature “labs” (challenging yet playful ideation sessions) while providing C2 a powerful gateway from which to continue the conversation in the Asia Pacific region. For the first time, C2 International will hold its three-day flagship event outside Montreal, transforming Melbourne’s iconic MCEC between October 17-19 this year. MCEC customers will be able to access C2 labs and experiences from 1 July 2018. But that is not all. Melbourne Convention and Exhibition Centre’s expansion site is under two months away from opening. Once completed, the new space will cement MCEC’s position as the largest convention and exhibition space in Australia, with 9,000 square metres of exhibition space plus additional flexible, multi-purpose event space, 1,000 seat plenary theatre, multiple meeting rooms and a banquet room.